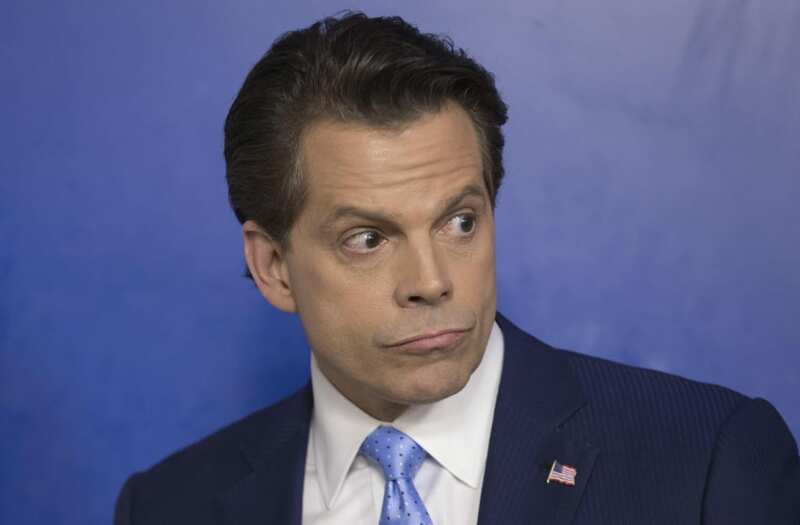 White House officials refer to President Trump's new communications director, Anthony Scaramucci, as the mooch emoji in text message conversations, Axios reported. The report cited an unnamed staffer's account, who told the outlet they utilized the emoji shorthand to refer to Scaramucci after he blew a kiss to the White House press corps at the close of his debut briefing on Friday. Scaramucci assumed the new role on Friday morning, shortly before Spicer resigned from his post several hours later amid reports that indicated he did so in protest of Trump's decision to bring on Scaramucci. Scaramucci later said Friday that he would "love to have Sean [Spicer] here. Sean decided that he thought it would be better to go." He added: "I'm used to dealing with friction," and said that he didn't have any harsh feelings towards Spicer or chief of staff Reince Priebus, who reportedly opposed Scaramucci's hiring as well. The story also arrives after several Trump administration officials alleged that Scaramucci referred to Spicer as Melissa McCarthy to people within the White House, according to the Wall Street Journal. McCarthy gained wide critical acclaim for spoofing Spicer's most noteworthy moments during a press briefing on NBC's "Saturday Night Live."